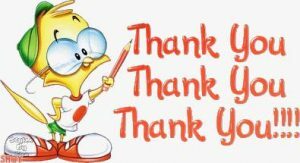 We must say a belated huge thank you Grainne, Laura and bob from Fermoy, who called into the centre recently and who very kindly donated not only bags of food and treats for the dogs and cats but also €76.70 which they raised from the sale of cards that they made themselves. They took photos of their dogs in the snow, bought all the materials and made some very good quality cards and then sold them to help raise funds for the animals in the CSPCA. Only behalf of all the animals we would like to express our sincere thanks for this very thoughtful act, who put the welfare of others and in particular the animals above themselves, well done guys!